Are you a business owner looking for employees? Join us for this breakfast meeting and find out more about how to find and keep employees!The West Vancouver Chamber is hosting this breakfast meeting to address the growing concern of local business owners having difficulty finding employees for their business. We will focus on our unique market of small, owner-managed businesses – often without a HR department. Our guest speakers will lead a discussion on how to engage interest in your business with ‘out of the box’ thinking. 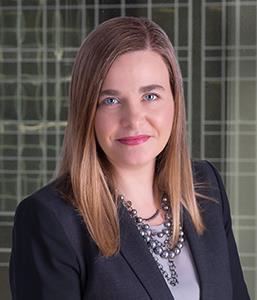 Monica is a Vice President, Executive Search with Optimum Talent, specializing in professional and executive level finance positions for organizations in British Columbia. Monica’s professional career has included work in finance, accounting, HR, executive leadership, board work, and entrepreneurship. As a Chartered Professional Accountant, the first 12 years of her career were in a finance and accounting capacity with PwC, Methanex, and 360 networks. 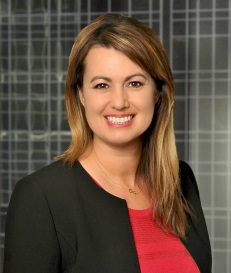 In 2004 Monica founded the executive search firm Higher Resources specializing in professionally designated finance and accounting placements for organizations in the Lower Mainland. She later rounded out her experience providing CFO consulting services for small businesses, working directly with Senior Management and their accounting teams. In 2016, Monica was Principal, Diversity & Inclusion for CPA Canada. Monica actively participates on various boards and committees focusing on women in leadership. She is currently involved as a Board member with the Forum for Women Entrepreneurs, supporting Canadian women entrepreneurs to become successful. Angelique is the Vice President, Leadership Assessment and Development with Optimum Talent in Vancouver. She works with clients to create strategies and implement programs using an integrated Talent Solution approach. These strategies include Executive Coaching, Succession Planning, Emerging Leaders, Strategic Design, Executive and Team Assessments. Angelique has experience managing her own companies and working with C-Suite leaders. In her work as an executive coach and strategic partner for medium size businesses, Angelique’s clients have won awards for leadership development programs and creating an exceptional service culture. Angelique has her MBA from Royal Roads in Victoria, B.C. She is an accredited leadership coach, with a PCC (Professional Certified Coach) designation from the ICF (International Coaching Federation). Angelique also is a graduate of the Advanced Leadership Program with CTI (Coaches Training Institute) in California, Master Graduate from Rapport Leadership International, and graduate of the neuroscience coaching program from the NeuroLeadership Institute. For fun, she has her pilot’s license and likes to travel across the continent. Chadwick D. Walker BSc, BEd, CIM® is an Associate Portfolio Manager, Investment Advisor with Odlum Brown Limited. 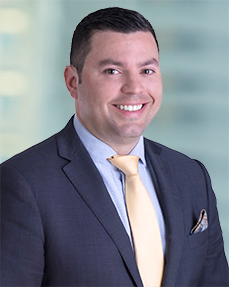 He works closely with Odlum Brown’s equity and fixed income research team and the firm’s wholly-owned subsidiary, Odlum Brown Financial Services Limited, to develop a comprehensive investment strategy for his clients’ wealth. In addition to his investment industry accreditations, Chadwick holds a Bachelor of Science in Applied Physics from Simon Fraser University, and a Bachelor of Education from the University of British Columbia. His consultative, scientific approach to investing provides his clients with a clear understanding of their financial situation, so they can be confident and excited about their investment decisions. *Ticket includes the “Ambleside” hot buffet breakfast, bacon/egg, pastries, coffee, assorted tea.